The History of Yud-Tes Kislev. Rabbi Schneur Zalman of Liadi, the founder of Chabad- Lubavitch Chasidism, was arrested, persecuted, and imprisoned in the year 1798 for his selfless efforts to strengthen the Jewish people and to disseminate Chasidic teachings. 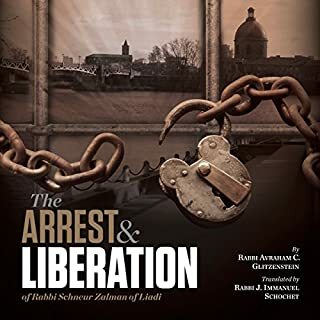 Rabbi Schneur Zalman's arrest imperiled not only his own life, but also the future of Chasidism.This book explores this noteworthy turning point in the Chasidic movement, and its importance as a milestone in Jewish History. 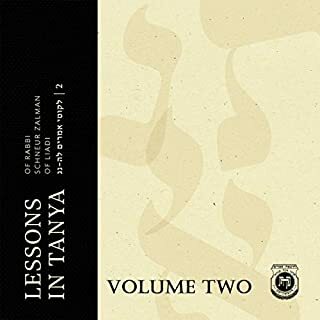 The translation of the Tanya into English was a watershed event in Chasidic history, impacting the world spiritually and physically. As the world evolves and new innovations appear, the time has come to reconstruct and upgrade the learning experience offered by Lessons in Tanya. In this classic work of Jewish mystical thought, Rabbi Adin Steinsaltz explores the major questions asked by modern Jews about the nature of existence. 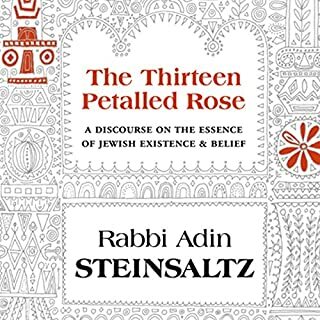 The Thirteen Petalled Rose addresses profound topics like Good and Evil, Divine Revelation, The Human Soul and the Search for Self, as it translates ancient kabbalistic concepts into an intelligible language for a new generation. What is a soul? What happens to us after we physically die? What is consciousness, and can it survive without a physical brain? Can we remember our past lives? Do near-death experiences prove immortality? How does reincarnation really work? Drawing from ancient Jewish wisdom and a modern understanding of consciousness, Rav Pinson explores the possibility of surviving death, the near-death experience, and a glimpse into what awaits us after this life. A satisfying compendium of profound subjects carefully and clearly elucidated by a master writer and teacher. These 47 discourses on the Jewish festivals give an overview of the primary concepts of Chabad Chasidus and address the dynamics of a Jew's relationship with G-d, community, and himself. Teshuvah is one of the great gifts of life. Through Teshuvah we are able to return from pain, fragmentation and confusion to a place of greater unity and well-being, to our authentic self. Reclaiming the Self offers a glimpse into a world with-out the damaging influence of past negativity - where misdeed is transformed into merit. Questions addressed include: What exactly is Teshuvah and how does it function? In this powerful and timely book, one of the most admired and authoritative religious leaders of our time tackles the phenomenon of religious extremism and violence committed in the name of God. If religion is perceived as being part of the problem, Rabbi Sacks argues, then it must also form part of the solution. When religion becomes a zero-sum conceit and individuals are motivated by what Rabbi Sacks calls "altruistic evil", violence between peoples of different beliefs appears to be the only natural outcome. Rabbi Menachem Mendel Schneerson (1902-1994), the Lubavitcher Rebbe, took an insular Chasidic group that was almost decimated by the Holocaust and transformed it into one of the most influential and controversial forces in world Jewry. This superbly crafted biography draws on recently uncovered documents and archives of personal correspondence, painting an exceptionally human and charming portrait of a man who was well known but little understood. Part biography, part memoir, part manual for great leadership, My Rebbe explores the evolution of Chabad's global success, its central beliefs and practices, the Rebbe's personal history, and his vision to inspire change. 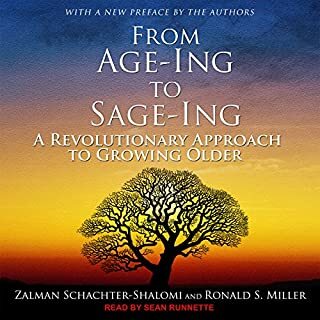 This moving narrative, written by one of today's most influential Jewish thinkers, will motivate listeners to contemplate their own mission in the world and aspire toward meaningful living. 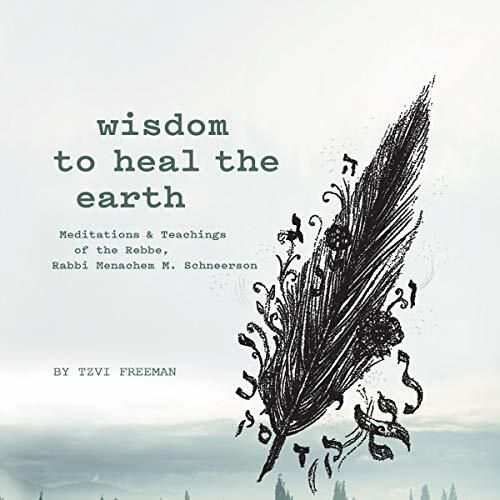 In Bringing Heaven Down to Earth, Tzvi Freeman explored an original means to deliver the wisdom of a great sage of our times, Rabbi Menachem M. Schneerson, known universally as simply "the Rebbe". Using pithy yet highly readable, brief meditations, that book unveiled for us a deeper meaning to life and provided practical guidance to weather its waves and storms. It is a book that changed tens of thousands of lives. Now, in Wisdom to Heal the Earth, Freeman continues with that winning format, this time along with brief complementary essays. 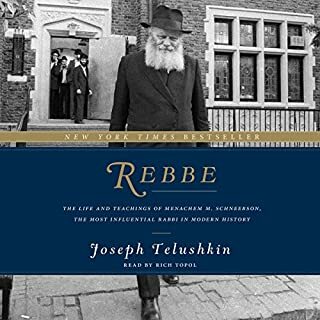 But now, he takes us yet further, peering toward the Rebbe's vision of a world toward which all humanity is headed and demonstrating how the details of our everyday lives are vital, crucial, and especially urgent today in reaching that grand and ultimate destiny. In Jewish parlance, we call this Tikun Olam - the notion that we all enter this world with a mission to accomplish: to repair and perfect our assigned share of the world so it can become the world its creator meant it to be.